Motorists are being warned to stay out of Plymouth’s bus lanes as the Council prepares to introduce new measures to keep the city’s roads safe and traffic moving. From Saturday 31 March enforcement cameras will be in operation on bus lanes and bus gates and, after a period of monitoring, fixed penalties will be introduced for drivers caught breaking the law. Councillor Kevin Wigens, Cabinet Member for Transport, said: "Blocking bus lanes and squeezing through bus gates is not only against the law, it is potentially dangerous. It also holds up buses, delaying services for passengers, and is extremely frustrating for other motorists who stay in the right lanes. The cameras, which will be clearly signed, will initially be placed at five problem ‘hotspots’ in the city where bus lanes and gates are most frequently misused. However, they can be moved to any bus lane or gate in the city at any time if needed. All of the city’s bus companies are supporting the new measures and the Council has been working with local taxi firms to ensure their drivers are reminded about the restrictions in place. Plymouth’s bus lane restrictions apply 24 hours a day. Most can be used by buses, taxis, cycles and motorcycles but there are some exceptions and some lanes are reserved solely for the use of buses. The sign at the beginning of each bus lane shows clearly which vehicles can use it. Peter Oliver, Acting General Manager of Plymouth Citybus, said: "Plymouth Citybus wholeheartedly supports the use of these cameras. Double parking and the misuse of bus gates cause considerable problems to the operation of our services. There is also the serious issue of the high number of near miss accidents where cars race up bus lanes in an attempt to jump queues. 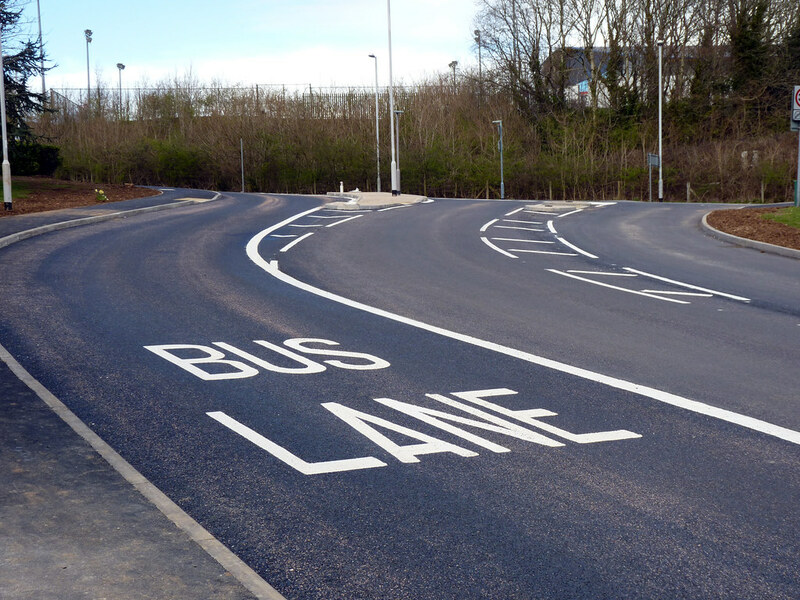 We are happy to support Plymouth City Council in ensuring bus lanes are kept clear as much as possible. The Council will be running an awareness raising campaign to warn motorists about the new penalty charges, using adverts on the backs of buses and posters in key city centre car parks. As a bus passenger this is long overdue. I just await the backlash when the council actually start sending out fines to motorists. In some parts of the country I am sure they use the cameras on buses to record cars obstructing bus lanes and bus stops. This maybe an idea for Plymouth as I feel it would then mainly penalise drivers who do cause hold ups rather than those who use the bus lanes but dont get in the way! Either way its good to see bus lane abuse getting monitored properly.